Interviews, News & Views, Music, Sports, Entertainment, Weather, Trucking & Transportation News, Road Safety Awareness & much more……. Good Morning Today – a weekly information packed radio program broadcast on CJMR 1320 AM radio dial is a presentation of Road Today Media Group. 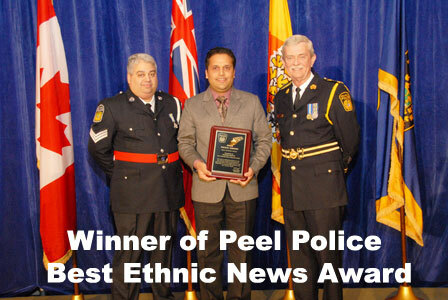 The program brings a unique perspective on the latest developments in and around Greater Toronto Area. The hour-long program is a blend of news, music and lively discussions on relevant subjects. Good Morning Today provides latest information related to trucking industry updates, new rules, regulations and laws, border issues, road safety and traffic campaigns. The program also invites industry professionals and guests to discuss current issues with a focus on road safety and public safety awareness. 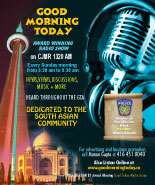 CJMR 1320 based in Oakville is one of the most popular radio stations amongst the South Asian community living in and around GTA. 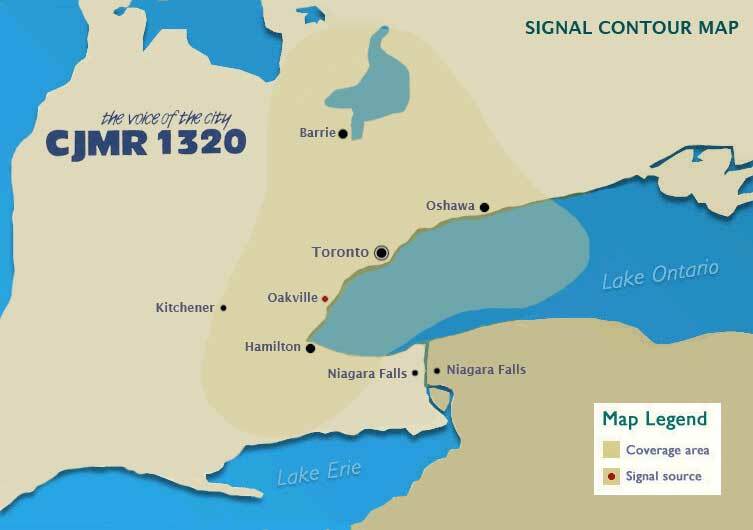 Licensed for 20,000 watts, it reaches the area from approximately Kitchener through to Cobourg and all points in between and as far north as the town of Orillia. The radio program can be listened worldwide over the internet as well by clicking here. Latest Public Safety News Cafe! 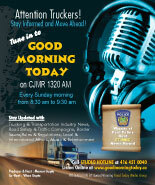 For Radio Advertising Call 416 451 0040. © Copyright 2010, Good Morning Today. All rights reserved.